When traveling abroad, there is no other experience like cooking and eating a meal with a local. Emika opens her Kyoto home to visitors to cook a meal and share conversation. 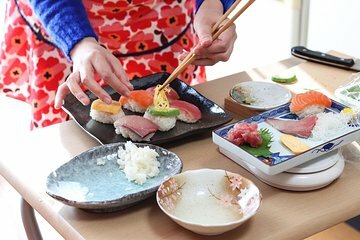 Enjoy learning to make traditional Obanzai cuisine, like marinated mushrooms, slow-cooked vegetables, miso soup and tofu dishes with your Kyoto native host. Chat over the meal you prepared, and get recommendations on the city.